With only a couple short days away from the release of 'Cry Pretty,' we decided to curb our suspense with a walk down memory lane! It’s hard to believe it’s almost been fifteen years since Carrie Underwood won our hearts as the fourth winner of the reality competition American Idol. 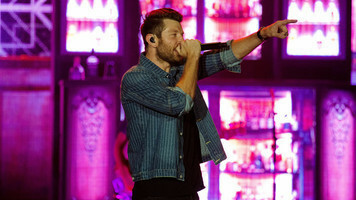 In 2005, the twenty-one-year-old stepped onto the national music scene, and hasn’t abandoned it since. Now, it’s been nearly three years since her last release, longer than fans have ever had to wait before, and the anticipation has reached an all-time high! With only a couple short days away from the September 14 release of Cry Pretty, we decided to curb our suspense with a walk down memory lane. Check out the full list of Underwood’s musical catalog kicking off with her debut Some Hearts. The country star wasted no time transferring her success from American Idol to real world album sales and chart-topping hits. In fact, her first studio album is home to one of her greatest and most iconic singles of all time, “Before He Cheats.” Some Hearts also featured the No. 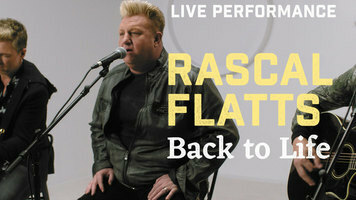 1 country chart single “Jesus, Take the Wheel,” a hallmark hit of Underwood’s that has sold 2, 473,000 copies in the United States alone as of Feburary 2016, earning it the certification of 3xPlatinum by the RIAA. The album itself actually went platinum eight times and peaked at the No. 2 spot on the Billboard200. Of the 13 tracks on the album, Underwood actually co-wrote the thirteenth, titled “I Ain’t in Checotah Anymore,” a reference to her tiny hometown in Eastern Oklahoma. 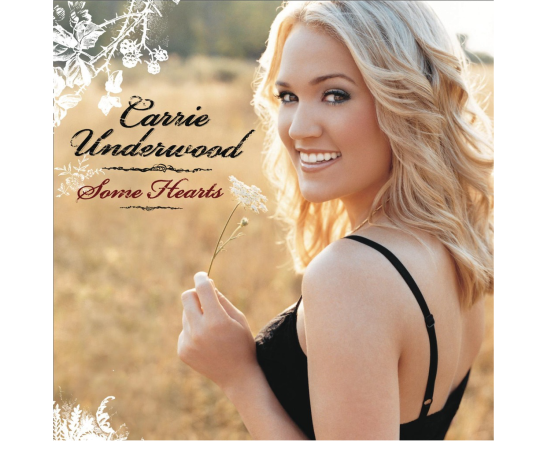 Photo: Carrie Underwood’s Some Hearts album cover. Hot off the heels of her whirlwind introduction to the industry, Carrie wowed again only two short years later with the release of Carnival Ride. Underwood’s sophomore album debuted at No. 1 on the US Billboard200 chart, topping her own record she made with Some Hearts. This time around, the singer took a more involved role in the songwriting process, credited as a co-writer on four of the songs on this album, three more than her previous record. The album’s second single, “All-American Girl” quickly became synonymous with country music and Carrie Underwood. The charming tale of two high school sweethearts and their story of having a daughter was so popular it went Platinum…twice! 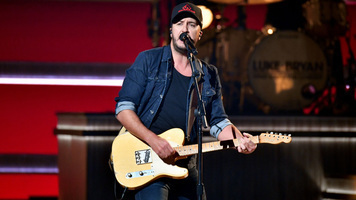 The album also spawned the number one singles “Last Name” and “Just a Dream.” It’s safe to say the country star solidified her standing as an international star with Carnival Ride, selling over 4,000,000 copies worldwide. 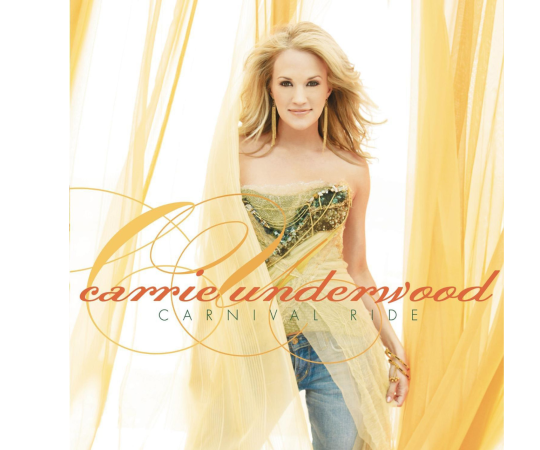 Photo: Carrie Underwood’s Carnival Ride album cover. Two years and three Grammy Award wins later, Underwood was back with another studio album for fans. Play On is home to three No. 1 singles, “Cowboy Casanova,” “Undo It” and “Temporary Home,” with the beautiful and heartwarming “Mama’s Song,” peaking at No. 2. It’s obvious that the singer had gained some confidence from her songwriting experience on the two previous albums, as she’s credited as a co-writer on 8 of the 13 tracks on the album, including all four singles. The Play On Tour was responsible for bringing the artist her biggest live success, having been able to reach over one million fans across the globe. 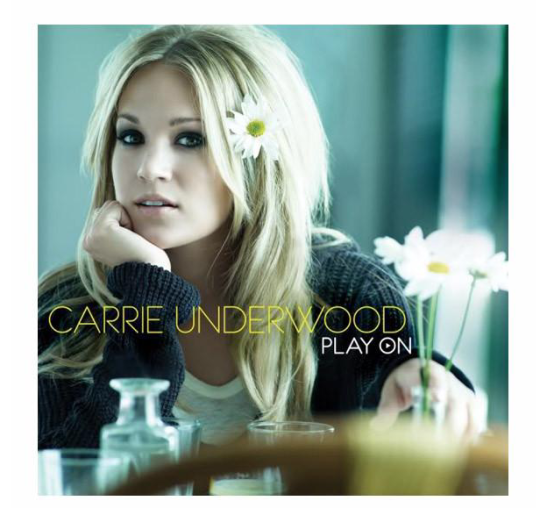 Photo: Carrie Underwood’s Play On album cover. 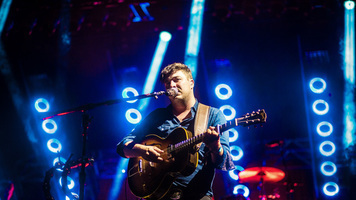 Lead single “Good Girl” had Underwood credited as a co-writer, as well as on “Two Black Cadillacs,” “See You Again” and five of the other fourteen tracks on the album. As the first major image update we’ve seen from the performer, she proved she can blow us away no matter what direction she takes. 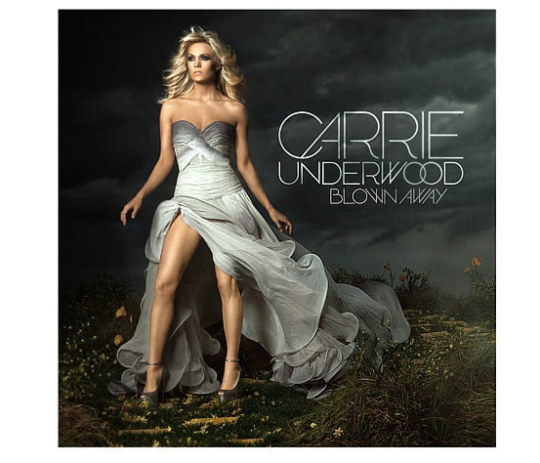 Photo: Carrie Underwood’s Blown Away album cover. This brings us to her 2015 release, Storyteller. The album debuted at No. 2 on the Billboard200 chart, which made Underwood the only country artist, male or female, to have all five of their studio albums debut in the top two spots. The lead single “Smoke Break” gave fans a taste of what was to come, a true Carrie story hour. This album holds as many ballads as any, and the title is a very telling of its contents. “Dirty Laundry” and “Church Bells” are two tracks that channel the the country singer we saw on Blown Away, while “Heartbeat” personifies the sweetness of Underwood we’ve all grown to know and love. 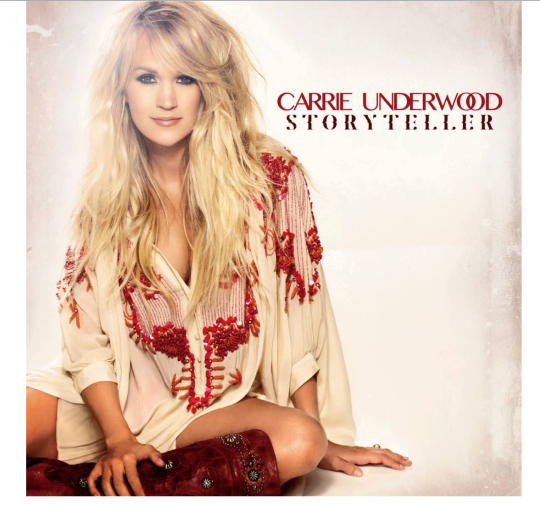 Photo: Carrie Underwood’s Storyteller album cover. In a statement Underwood released regarding her latest venture, Cry Pretty, the artist said, “At this point in my career, I feel stronger and more creative than ever. I think you can hear that in this new album. It’s emotional, it’s soulful, it’s real, and we also have some fun on there too. I hope everyone loves it as much as I have loved making it.” Judging from the progression we’ve seen in her past works, if the country star had more developing to do, it means we as fans are in for a real treat. This is the veteran songstresses’ first endeavor as producer, an exciting undertaking in of itself, and we can’t wait to see what a full-blown creative Carrie Underwood effort yields! 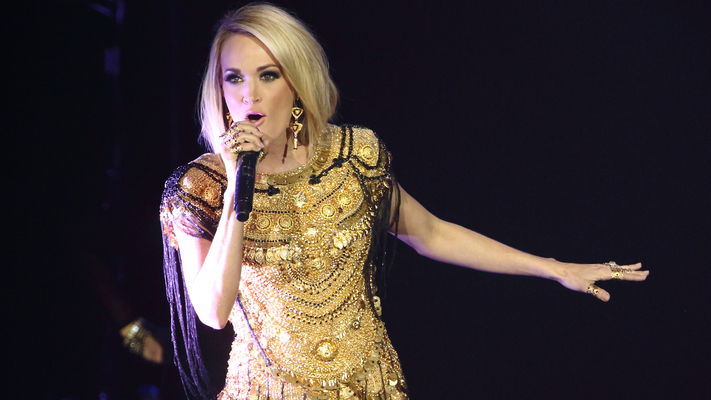 Carrie Underwood Is Heading To Hollywood!